Some people love the use of dryer sheets in their laundry, you put the wet laundry in the dryer along with a dryer sheet and it comes out soft, static free, and freshly scented. Some people feel dryer sheets are an added expense they just don’t need. 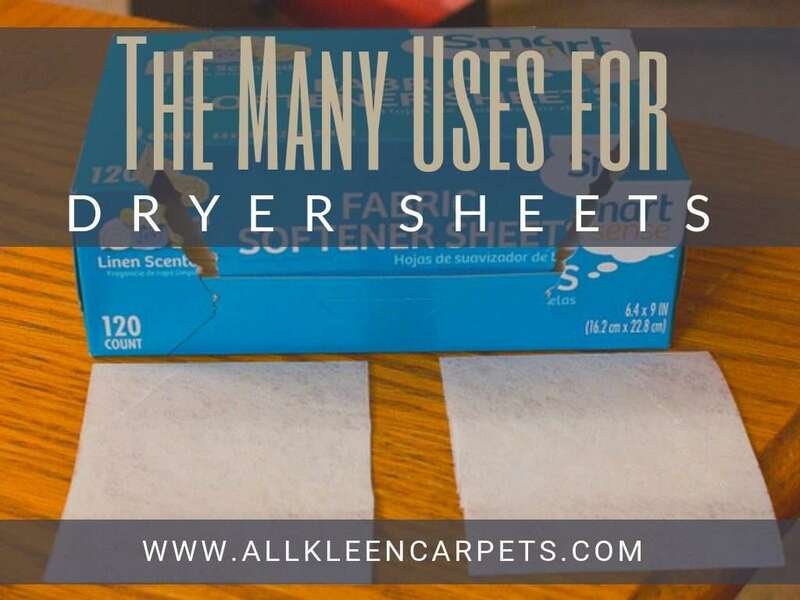 Dryer sheets actually have many more uses around the home than just inside the dryer. Read on and you may find yourself picking up a box, or an extra, the next time you are at the store. Ever get frustrated with water spots on the handles of the faucet or shower? Wet a dryer sheet and wipe down bathroom fixtures to get them shining like new. Use a moistened dryer sheet to scrub soap scum from the shower door. Burnt on gunk on the bottom of pans is a bummer and can have you dreading the tough work of scrubbing it away. Dread no longer, just stick a dryer sheet in the bottom of the pan over the gunk and top with a little bit of water. Let the pan sit for a few hours to soak and come back to a pan that is super easy to clean up. That uplifting fresh scent you enjoy when pulling warm and freshly dried clothes from the dryer can be enjoyed in other places that tend to harbor an unpleasant odor. Stuff a dryer sheet in your gym bag to get rid of the sweaty stink. Cut a sheet in half and stick each piece in a pair of stinky shoes. Place a dryer sheet in a drawer to keep it from smelling musty. Read More: are all dust mops the same? One of the main jobs of a dryer sheet in the laundry is to draw static charge out of the clothes. Dust, hair, pet dander, and other debris are attracted to static charge. In a nutshell, dryer sheets are like Swiffer’s more budget-friendly cousin. Run a dryer sheet along your baseboards to not only remove dust but prolong it from gathering there again. Leave a dryer sheet in the corner of a room with hard surface floors to help attract piles of pet and human hair. Run a dryer sheet over all your hard surfaces to get your dusting done in a jiffy with little dust falling to other surfaces or spreading. Need some more help getting hardwood floors clean? All Kleen provides professional hard surface floor cleaning in Bothell and surrounding areas.